Crane-mounted trenching equipment is used when the excavation depth extends past the reach of the long-stick excavator, or when the length of the panel under excavation is limited. 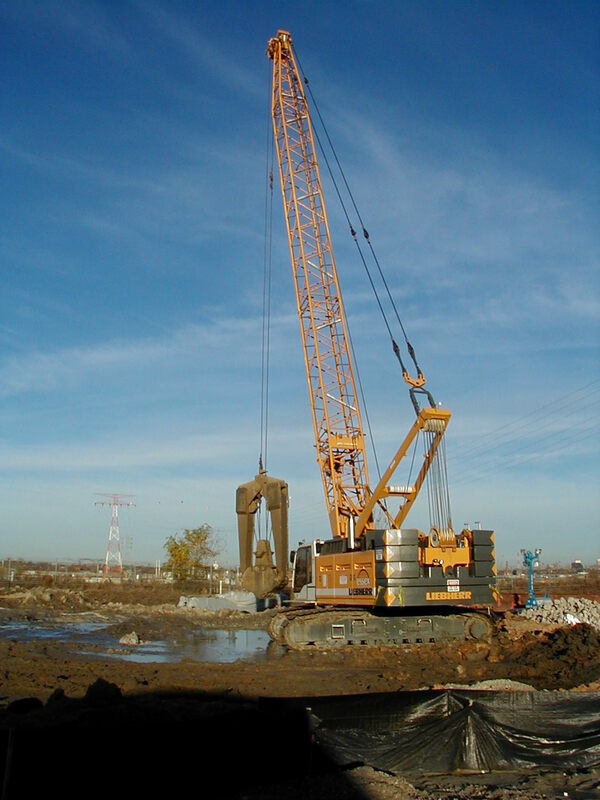 Such equipment can be used solo or in conjunction with the long-reach excavator. 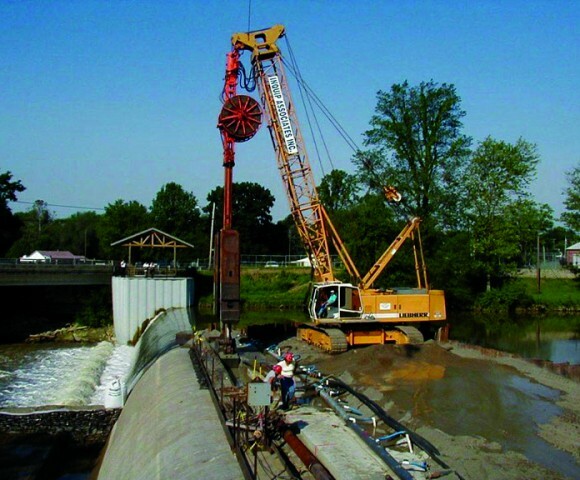 Mechanical and hydraulic clamshells are used to a depth of 150-200 feet. Inquip owns several mechanical and hydraulic clamshells. Chisels and special tools are used when the excavation proceeds through difficult conditions, such as large cobbles, boulders, cemented soil layers and rock formations.